Seed your yard quickly and easily. At Kentucky Professional Turf in Versailles, KY, we love to say we are “keeping your blue grass green” every year. Power seeding is a surefire way to keep your lawn full and green. Power seeding is one of the most effective lawn renovation techniques. The process involves injecting seeds directly into the soil. Because this method is a precise and targeted approach, we use less grass seed but produce much better results. The hot days and summer sun in Kentucky can weaken and damage your lawn. Unsightly bare spots can appear in parts of your lawn, ruining the look of a healthy yard. In this environment, lawn repair services are inevitable. Call the specialists at Kentucky Professional Turf for a fast and friendly power seeding estimate today. It’s the next step on your way to lush and lovely lawn the neighbors will envy. With over 30 years of experience, we’ve perfected a foolproof lawn restoration power seeding method to fill in those ugly bald spots in your lawn and grow new and beautiful grass rapidly. When it comes to reseeding your lawn, we have what you need. One of our lawn care experts from Kentucky Professional Turf pulls a machine specifically designed for power seeding behind a tractor to plant the grass seed properly. This professional machine pulverizes the ground to insert the seeds deep down into the soil. 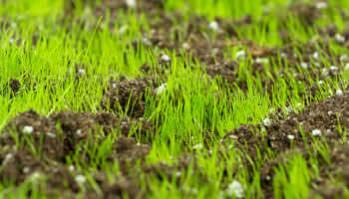 This process of disrupting the ground to bury the seeds is the most optimal ways to get new grass to grow quickly. 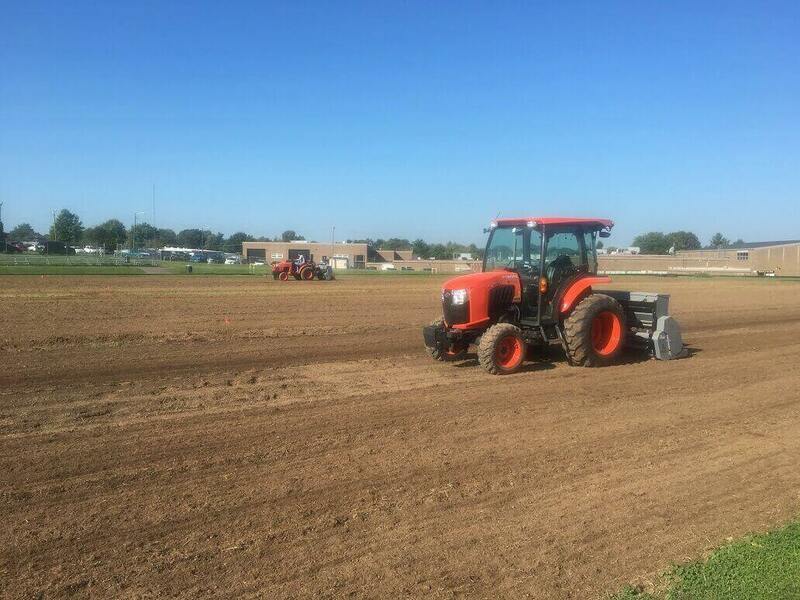 Since the experts at Kentucky Professional Turf use a tractor for power seeding, there isn’t as much labor involved as there is with traditional power seeding methods where the seed is just thrown on top of the ground. Our power seeding process is fast, and the results are very satisfactory. You’ll see how quickly your new grass will begin to sprout as your lawn becomes thick and abundant. We make a pass one time across the yard, no matter what the size and quickly and accurately distribute the perfect amount of grass seed. We’re experienced in power seeding lawns of all sizes and shapes from football fields, horse farms, and residential properties. We have large or small equipment to properly power seed the bare areas in your lawn. At Kentucky Professional Turf, we feel power seeding is the most efficient way to fill up empty spots that ruin the look of your lawn. Talk to one of our friendly lawn care experts today for a free estimate on power seeding and more.